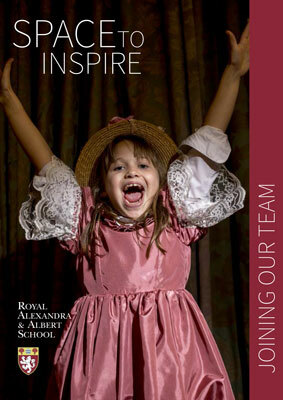 The Royal Alexandra & Albert School is a purpose-built co-educational maintained boarding school in 260 acres of Surrey parkland. Pupils are aged 7-18 and 470 of the 1000 pupils are boarders. The school has excellent facilities and is only 5 minutes from the M25. The School is part of the School Direct Warwick Partnership. As such we offer School Direct training places. As a 7-18 State Boarding School, we seek an exceptional candidate for the position of Teacher of French with Spanish, from September 2019. Pupils study both French and Spanish in Key Stage 3 for at least two years. We are looking for a teacher who can provide highly effective and innovative teaching of French across all levels Key Stage 2, 3, 4, 5, and Spanish to at least Key Stage 3, to ensure that all our pupils make excellent progress and inspire students to have a passion for the subject. Please complete the application form with a covering letter or supporting statement and return to hr@gatton-park.org.uk. As a 7-18 State Boarding School, we are seeking a Teacher of Psychology to work within the Psychology Department. We are looking for a teacher who can provide highly effective and innovative teaching of Psychology at Key Stage 5 to ensure that all our pupils make excellent progress and inspire students to have a passion for the subject. To apply please complete the application form with a covering letter or supporting statement. As a 7-18 State Boarding School, we are seeking a Head of Psychology to provide inspirational leadership of the Psychology department and effective delivery of an outstanding Psychology curriculum ensuring all our pupils make excellent progress. Applicants must be available to work the two-week period of the Public Examination results GCE and GCSE in August or as stated by the Examination Regulatory Bodies and the first and last week of the summer holidays. Gap Students. Please note that we do not employ GAP students. The Royal Alexandra and Albert School is committed to safeguarding and promoting the welfare of children and applicants must be willing to undergo child protection screening appropriate to the post, including an Enhanced DBS (Disclosure and Barring Service) check. The DBS check replaces the old CRB check. If you think you would be suitable for any of the above posts, please download the relevant application form using the appropriate link below. If using Microsoft Internet Explorer, right click on the link then choose 'Save target As' from the pop-up menu. Please apply only if posts are available.